The Medicine Hat Police Service is committed to providing accurate, timely, and consistent information to the community in a professional manner and in accordance with the laws regarding public information. In an effort to foster the efficient exchange of information with members of the community, including the media, the Service has launched a new section of the website where all media release documents are posted, in addition to continuing to post all of our calls for service . Connect with us through social media. 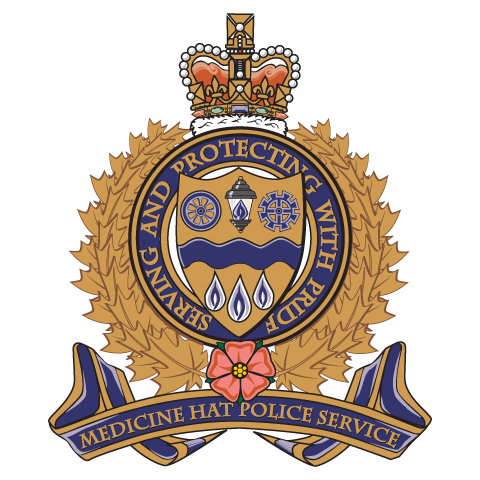 Follow the Medicine Hat Police Service on Twitter @medhatpolice ,on Facebook at www.facebook.com/mhpolice or Instagram @medicinehatpoliceservice. The Service welcomes the opportunity to schedule interviews, locate expert spokespersons, issue news releases, provide up-to-date information and answer questions for all members of the news media. It is our goal to assist the media with information requests as promptly and efficiently as possible; however public safety is our first priority. To arrange on-site and phone interviews during normal business hours, 8:00 AM to 4:00 PM, Monday to Friday, contact the Administrative Services Manager, Rita Sittler by phone at 403-529-8416 or email at rita.sittler@mhps.ca. In case of an emergency after normal business hours, contact the On Duty Patrol S/Sgt by phone at 403-529-8461.